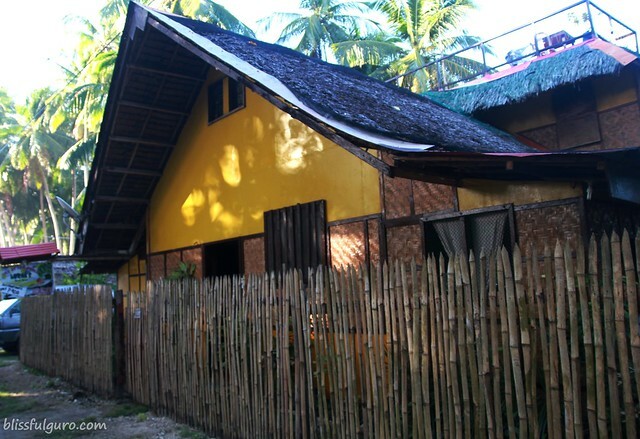 I first heard about the resort from nathalie as I was searching the net for ultra-cheap accommodations in Siquijor few weeks before our trip. I texted the owner, Lorna, and she confirmed our reservation right away. I texted her a day before our expected arrival and she confirmed once again our reservation. 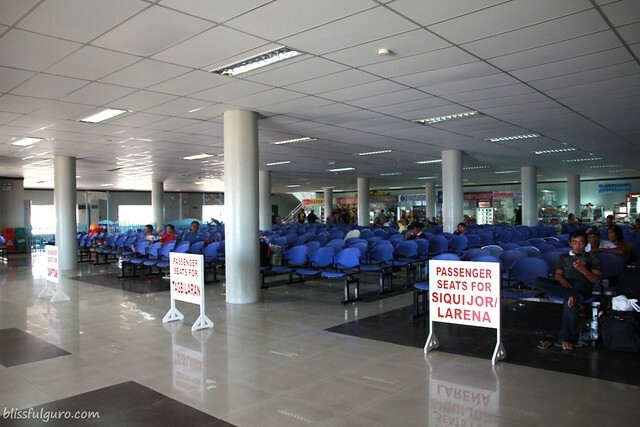 Our Manila - Dumaguete flight was on-time and we hurriedly went out of the airport's premises and hailed a tricycle on their main highway which was cheaper rather than getting one inside the airport. 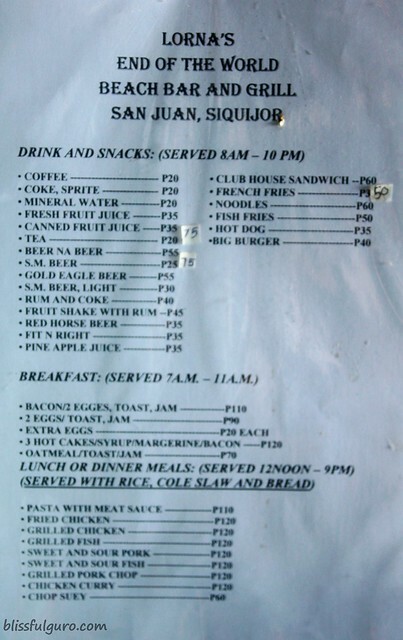 We were charged 50 pesos for the trip to the port. It took us less than 7 minutes to reach the port. We were just in time for the Delta fastcraft's 1:30 p.m. schedule to Siquijor. 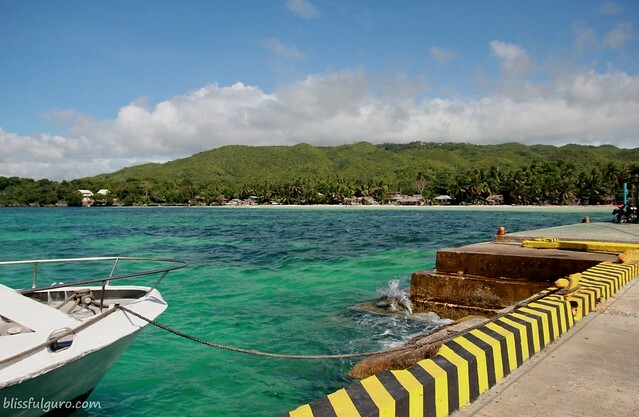 Take note that there are two ports in Siquijor province - the Siquijor port and the Larena port. We chose the Siquijor port and paid 160 pesos for the fare and 15 pesos for the terminal fee. It was boarding time at that time so we went straight to the ferry after paying. The ferry was quite small and old compared to the other ferries I rode in the past. I heard numerous stories about the fastcraft's wild ride but ours was kinda ok. No wild waves or so I thought because we slept all throughout the trip. Their schedule is quite confusing - they change it depending on the volume of passengers. We arrived in a very nice and super clean port after almost an hour ferry ride. It was the cleanest I've seen so far that I wanted to jump off the ferry right away. Excited?! We went out of the port and as expected, we were flocked by numerous tricycle drivers offering resorts, tour assistance and guide, motorcycle rental and a ride to resorts. We didn't wanna cause too much attention so we just went inside on one of the trikes available (we looked for the less aggressive driver) and haggled with the driver. From 250 pesos it went down to 100 pesos. Again, I'm that kuripot. We told the driver to drop us off to the End of the World. He looked puzzled. Then I told him that it's Lorna's beach front resort in San Juan. And off we went. It's the next town right after the town of Siquijor. Siquijor is a very serene place, it was noticeable how quiet it was. There were no people on the streets. Maybe because it was holy week that time or maybe it was siesta-time. we're at the end of the world! We arrived after 30 minutes of a very slow-paced drive - we really wanted it that way. We were welcomed by Ate Lorna herself. She asked us about our trip some stuff and we clicked right away. She owns this relatively new resort together with her husband - who is an expat. She reminded us that we can use their kitchen and other stuff for free and pointed us the town center which is 2 kilometers away from the house. We shopped for some stuff we needed for our stay. All the rooms were occupied at that time (all were foreign nationalities - kami lang ang pinoy!) and a couple (Filipina and Belgian - which will eventually become our friends and we spent the remaining two days of the trip with them, watch out for the next posts) stayed in a tent provided by Ate Lorna for 200 pesos. Wow not bad eh? They have 4 rooms - all with a nice view of the beach. the 200-peso tent accommodation - can you see where's the Belgian tourist Mark? 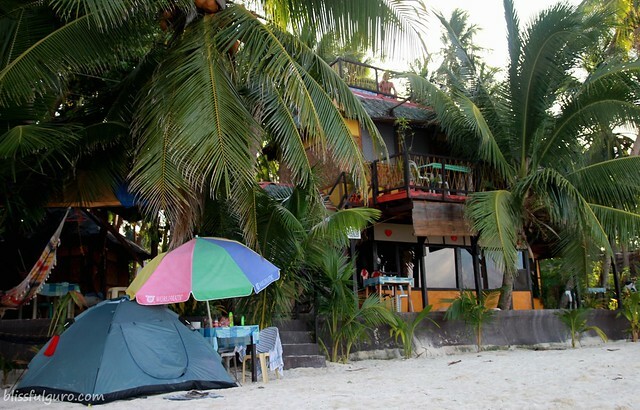 All that time, I was thinking about how would a 400-peso beach front room would look like. 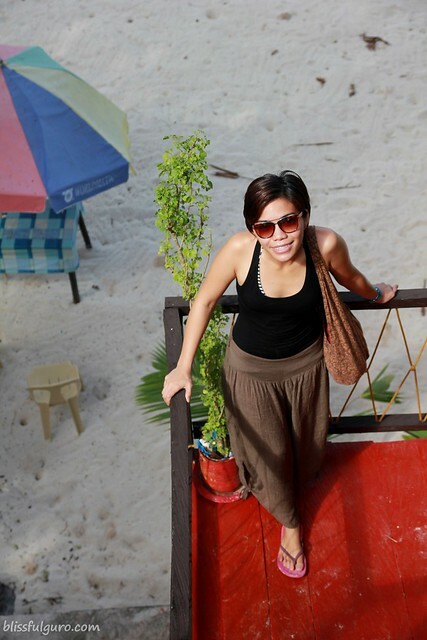 We were ushered by Ate Lorna to our room on the second level of the house. She showed us the room and we were happy. We have our own toilet/shower inside the room. It was so weird at first because there was no door leading to the bathroom, it was just a shower curtain. It was my first time to see such ingenuity. We played around on what to expect on our first morning doing our thing while making sure that everything's under control. We burst into laughter when we practiced concentrating to pee or poo while knowing that we're just a shower curtain away from each other. Totally hilarious. 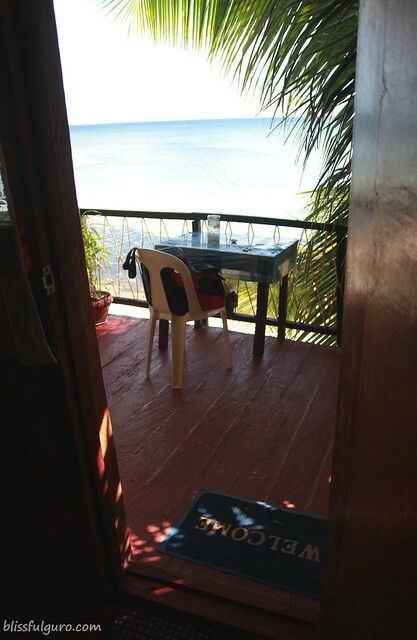 We also have our own veranda with a nice view of the calm beach. We spent our mornings just staring at the sea while sipping our morning coffee and the breakfast we made from the kitchen. We tried the cute little boat and paddled through the calm sea. We had some beers during sunsets and were amazed with fireflies during the night - that's why Siquijor is also known as the "Island of Fire". It was very laid back. And our neighbors were very friendly. It was nice to have some chat with them and how they like the Philippines very much. During one of our "beer nights", this cute, little, Cebuano-speaking, 5-year old girl started a conversation with us. You can see the enthusiasm on her face while she was speaking. What I understood was that she was telling us on how to catch baby crabs on the sand. I acted like I understand every word she speaks and then she asked something, twice - patay! And then I told her that I don't understand their dialect. I repeated it this time with some hand actions. She understood what I was telling her and she was really frustrated. After so much hand signals and everything, she spoke in English - tapos ang usapan. We found a common ground. She was asking so much things about Manila and she even told the story on how she found home in Ate Lorna's house. She even asked me to sleep beside her that night but Ate Lorna heard it and dismissed the idea right away. It was really a nice conversation. Again, pwede na ba akong maging pre-school teacher? We never regretted staying at the End of the World. 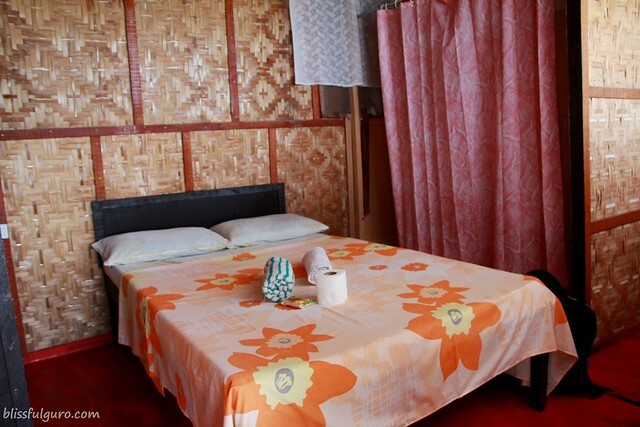 Its ruggedness and laid-back atmosphere made us book for one more night. Our supposedly 2 days and 1 night stay became 3 days and 2 nights. 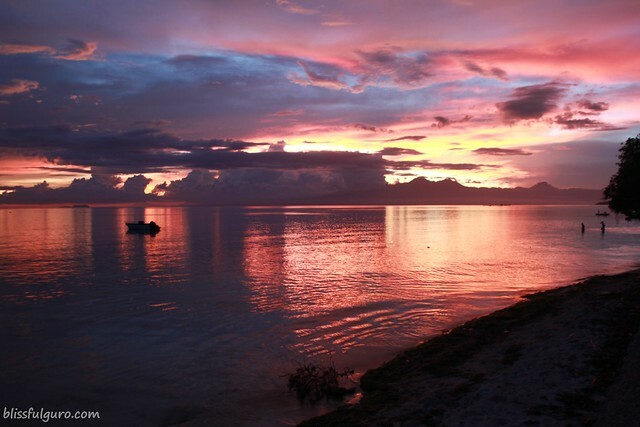 We just fell in love with Siquijor and the tranquility it brings to anyone who visits the province. To each his own as they say. Maybe other people would find this resort inconvenient but all who were checked in at that time agreed that it's a very good place to just chill and forget about everything. We will definitely stay again here. Kahit na bz aq para s contest ng anak q.. i will really find time..
Been waiting for this blog... sobrang ganda ng siquijor!!! at ang accomodation ang mura ha? partida beach front!!! carla dalhin mnkmi jan!!! hahaha!!!! Sbi na nga ba.. mas ma appreciate mo ang mga pics kpag naka-blog na!!! carla, prang gusto q ung idea ng cr n curtain lang!!! hahaha!!!! OH MY!!! hahaha!!! at ang blog, kumpleto ang sched ng ferry boats ha?? 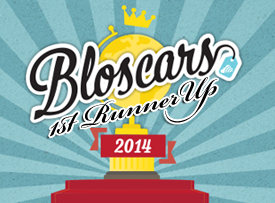 nice one men!!! 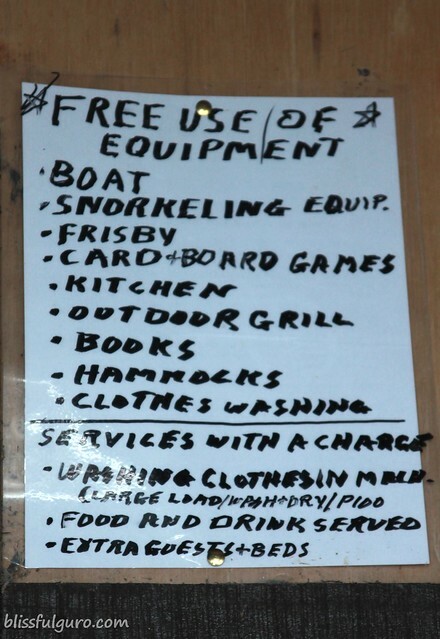 at saka malinis nga yang place na yan.. pnta nkmi jan.. meron pang free use of snorkeling sets ha?? love it!! o wait q ulit next blog m ha? hi sheena! salamat naman at kahit busy ka sa baby mo eh nakaka-visit ka pa dito. go na kayo siquijor bilis! wow..thanks for that info. so tama pala yung 6am pero monday lang talaga...hmmm...thanks again gabz! Wow super cheap rate for a beach front with veranda. Ganda teh! hi gladys! onga... nice noh? and super cheap talaga. Do you happen to know if there's a barge / roro from duma to siquijor? Thanks a lot! 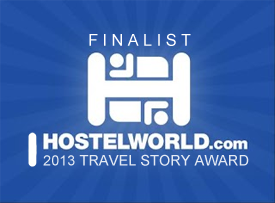 Hello, thanks for staying with us! Hope to see you again. 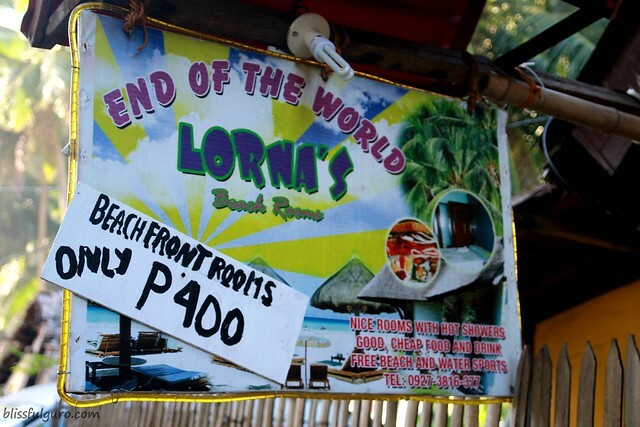 I would love to stay here kung ganyan lang din kaganda ang veranda plus mura pa.
so which port is nearer sa Lorna's End of the World resort? Does this resort still available?